We have been beset with vehicle updates, lengthy build times and vehicles suddenly being withdrawn from the Scheme, some of which reappear after only a few days. 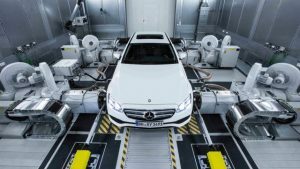 The bulk of the problems can be attributed to the new WLTP testing (Worldwide Harmonised Light Vehicle Test Procedure). The change to the way cars are tested has been planned for a number of years but accelerated in implementation due to the number of scandals, particularly surrounding VW, and this fast-track has caused a lot of panic, confusion and delays for customers. We will run through the changes happening. Step 2 – September 2018 – All cars sold/registered will have to have been tested. *An exception for end-of-series vehicles to allow for a limited number of unsold vehicles in stock that were approved under the old NEDC test to be sold for one more year. Step 3 – September 2019 – Real Driving Emissions (RDE), Vehicles are tested on the open road for 90-120 minutes to establish pollutants. The first stage of RDE allows a car to emit 2.1 times the amount of NOx during testing. WLTP tests are carried out on every trim line with every modification avaialble for sale, for example, alloy wheels may cause a decrease in weight, while a better audio system may add to a vehicle’s total mass. Options such as cruise control can also affect engine performance either improving or increasing emissions. Manufactures have in responce trimmed the number of lines and optional extras avaialble, and in some cases dropped engines from the range in order to get the tests completed in time for September 2018.